AustenBlog–at the time called JaneBlog*–had its soft launch on July 1, 2004, and our “grand opening,” when we actually started to tell people about it who weren’t helping us set it up, on July 15, 2004. Six years later, we’re still trucking along, more or less. Reading those old daily posts about the most esoteric of esoterica makes us feel extremely lazy; but much has happened in those six years. Dorothy’s made a fresh pitcher of iced lemon chiffon rooibos and is serving it somewhere air conditioned. We were in the first fever of putting this blog together over another hot Independence Day weekend, so the heat wave is making us feel a bit nostalgic; but now that the fabulous new high-tech AustenBlog World Headquarters have central air conditioning and a pool, we are keeping cool even as we slave over the computer, and hope you all are, too (or warm for our friends in the Southern Hemisphere). We promised a new look a few months back, didn’t we? While it’s still a work in progress, the main pieces are in place. We asked the lovely and talented Teresa AF–who also helped us with our first layout–to assist, sent her a photo of the Cluebat of Janeite Righteousness (yes, there really is one) and our favorite old-time baseball girl, and she waved her magic PhotoShop wand and sent the fab banner above, which we love and makes us squee. So if the Editrix ever exercises the Cluebat upon you, remember, it could be worse: Rogers Hornsby could have called you a talking pile of pigsh*t. Just saying. *JaneBlog lasted about three days and was given up when we found another blog called JaneBlog by a young lady named, unsurprisingly, Jane. She was a Janeite so we decided to play nice and went with AustenBlog. Beauteous! Makes us want to do sumpin’ naughty to see the pink bat swing. Congrats on 6 years Mags. It must be a record for nonstop Jane bloggin’. Let’s call Guinness World Records and check, cuz I’m sure you’re a shoe in. I wish you as many sugar-plums as you can eat without being sick for your birthday. That sounds like the OLD HQ, actually. Happy Blogiversary and long life to The Cluebat of Janeite Righteousness! And hugs & kisses to Mags! Congratulations Mags! May you blog forever! Love the cluebat and the pink background. Makes one pause…. Happy Blogiversary! Thanks for the great posts and information! Love the new look! WOW! 6 years! Happy Blogiversary! I love the new look! I love A League of Their Own too! Happy Blogiversary!!! Even though I do not post often. I have been thoroughly entertained by the wealth of information you have provided over the years! As a long time JA fan it is most appreciated! WIshing you many many more successful years ahead! New look is great too! I read this as a re-run of Emma is on the television. In 100+ heat. Ick. But am refreshed by the charming new look. (I also love “League”…very amusing banner) Long may you wave, my dear. Goodness. Six years must be 60 in WWWeb-years. Good for you! 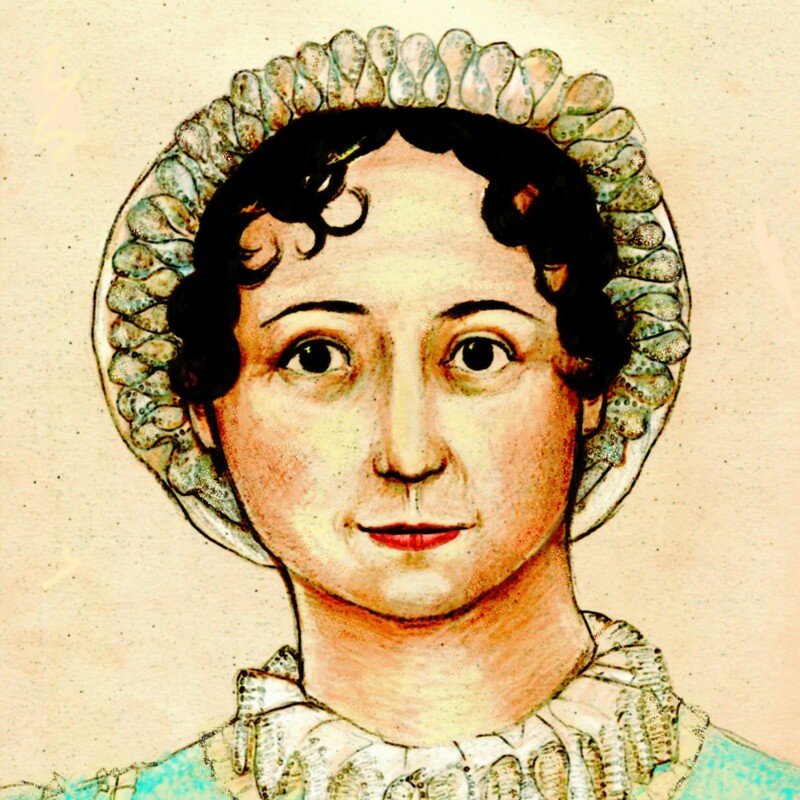 As a sister Jane Austen blogger, I am so happy to find your blog, AustenBlog. Several friends and I started a Jane Austen Tea Society a couple of years ago, deciding that we would read through Jane’s major works in the order in which they were published and discuss over High Tea at a local Nashville tearoom. We are now working through a list of English Victorian authors. Congrats and I love the new look! Long may the cluebat swing. I hope you are having a wild party at the new Austen World HQ to celebrate. Happy Blogiversary! ADORE the new look. ¡Felicidades! Here’s to the next six years of Janeing! glad to see you’re still swingin’ Mags! Love the redesign. Oh, I missed this post. Congratulations Mags! 🙂 I’m glad its there. ¡Feliz aniversario!!! (though belated) and I hope there are many more 😀 Congratulations, Mags!!!! !